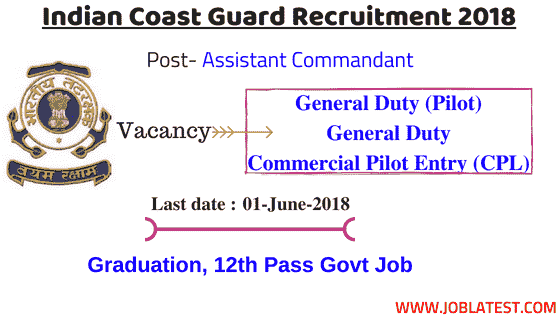 This article is about the Indian Coast Guard Recruitment 2018 which gives a information about the latest government jobs in defence. This vacancy is for the post of Assistant Commandant under different branches such as general duty, commercial pilot entry. 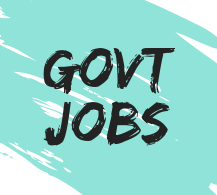 From this page candidate can apply online, read notification, check age limit / pay scale, selection procedure and other information. General Duty : Male ⇢ Graduation. General Duty (Pilot) : Male ⇢ Graduation. Commercial Pilot Entry (CPL) : Male and Female ⇢ 12th pass and current / valid Commercial Pilot Licence (CPL). Age limit → Those candidates whose date of birth will come in criteria can only apply for this vacancy. General Duty ⇢ 01–July–1994 to 30–June–1998. General Duty (Pilot) and Commercial Pilot Entry (CPL) ⇢ 01–July–1994 to 30–June–2000. 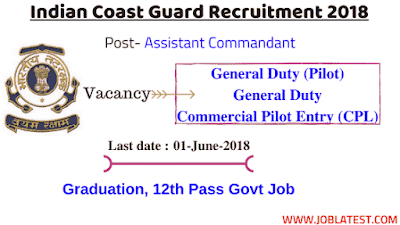 Criteria → These are the compulsory condition for this govt jobs in Indian Coast Guard. Those candidates who are failed in computerized Pilot Selection System / PABT or suspended from flying training at (Air Force Academy) are not eligible for Pilot branch. Candidates should not have been arrested, convicted or prosecuted on criminal charges. He / She must free from criminal charges. Candidates withdrawn on disciplinary grounds from any other service training academy are not eligible to appear. Exam centres → These are the places where the exam took place for the Preliminary Selection. Travel Allowance → Candidates appearing first time in Final Selection Board (FSB) (Stage-II) will be reimbursed on production of original tickets. Application fees → free of cost for all category.